Here we go again. After my last review I hadn't planned on trying another Chunky soup for a while, but it was so cold and rainy today I thought I might as well try the other soup I had in my cabinet. It's perfect soup weather, so it'd be a shame not to. (Plus I was lazy and didn't feel like making dinner.) I bought both of these flavors at the same time, and even though I wasn't a fan of the last one, I'm going into this one with slightly higher hopes. I mean a canned pizza soup with giant dough wads? That's not my idea of a good time. 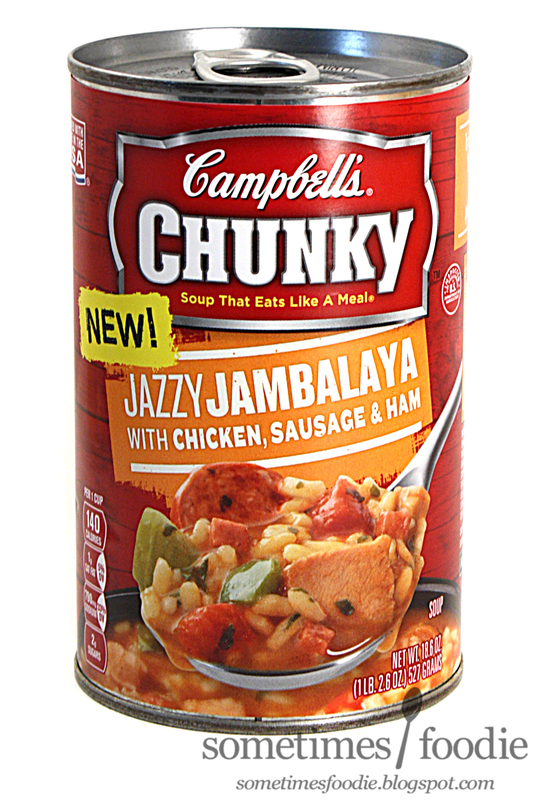 When you compare canned jambalaya to that, this already looks like a winner. 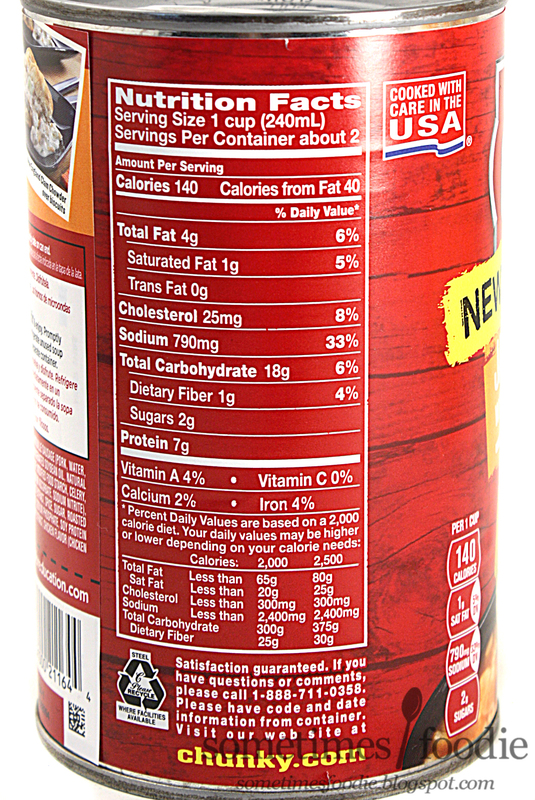 All Chunky brand soup cans use the same graphics and layout, and I already covered that in my last review, so there's nothing new for me to talk about. If you want to see my design critique, check out my last Chunky review. For now, let's pop this can open and get dinner ready. As soon as I opened the can I was shocked by how thin the broth was. 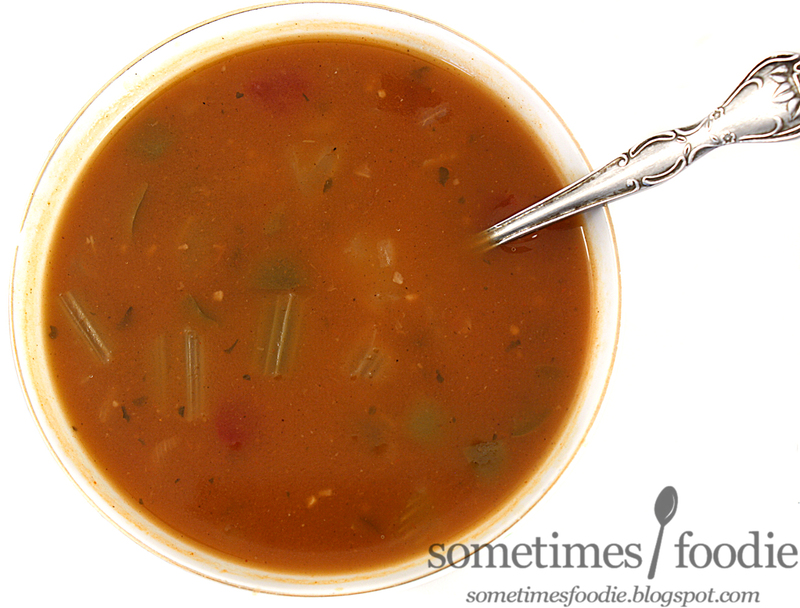 Chunky soups tend to have really thick sauce-like bases, well all of the non-noodle based soups anyway, and this was way thinner than the pizza version. I also noticed that there were no sausage slices like the image on the can, instead there were itty bitty diced cubes of non-specific looking meat. I'm guessing some had to be ham and others were the sausage, but I honestly couldn't tell the difference visually, and there were random bits of chicken in there as well. As I heated it up on my stove-top the soup smelled tomato-heavy (uh-oh) and a bit spicy, similar to a spicy breakfast sausage, or some kind of spiced meat. Admittedly my only comparison for a "good" jambalaya is the stuff that was served at college for Mardi Gras, and I would say the aroma was pretty similar. 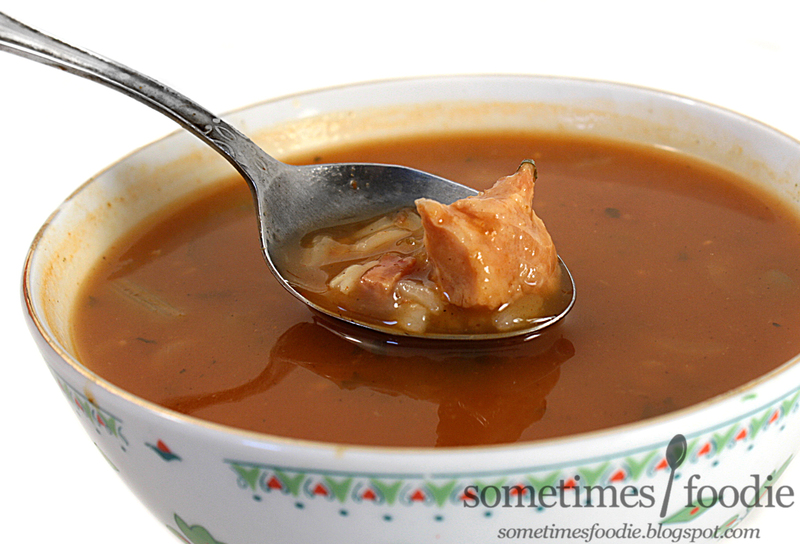 I poured the now hot soup into a bowl and gave it a try, and it was actually pretty decent. I'd even go as far as saying that this is one of the best Chunky soups I've ever had. The broth is very thin, but it's nicely seasoned so I don't really mind. The soup base isn't too salty, or too tomato-y, and it has a tiny hint of spicy heat. The veggies are soft and practically texture-less, but that's typical for canned vegetables, and the meat chunks weren't anything to write home about. They are better than those dog-food like meat patties in the Chunky sirloin burger soup, but no where near as good as real meat you prepared at home. From what I remember, this is on par with the jambalaya I had in my college cafeteria, and it might not taste as good as homemade, but it's really not bad. I actually enjoyed this quite a bit. My only real complaint about this soup is that it wasn't living up to it's "chunky" name. There was quite a bit of broth here and not so much rice and other add-ins, but I can live with that.